Want more than the basics? Shawl Geometry I taught you the basics of shaping shawls. Shawl Geometry II gives you 19 funky & uncommon shawl shapes. 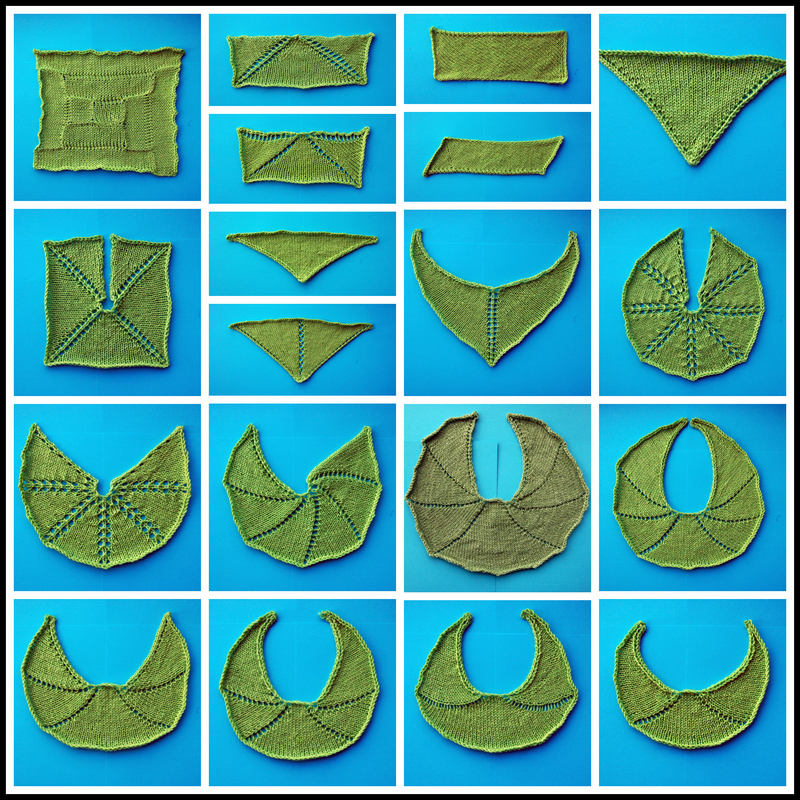 Shawl Geometry II is a guide to knitting funky shawl shapes. You’ll learn how to knit 19 different types of shawls. With written instructions, swatches & schematics to make things crystal clear. These are pattern recipes. So pick up your needles and cast on immediately for some mindless knitting, or grab your stitch dictionary and delve into designing. : have new shawl shapes that are only limited by your imagination. To get the book, click the big blue buy now button. Check out securely though Paypal, with your credit card or Paypal account. Your ebook will be emailed to you immediately. Download the pdf, and save it to your computer, tablet or USB drive. Then open it up and start knitting! Do I need to have Shawl Geometry I to understand Shawl Geometry II? Nope, not at all. Shawl Geometry II contains complete instructions for all the shawl shapes presented. Will I get more out of Shawl Geometry II if I have a copy of Shawl Geometry I?